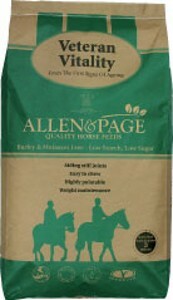 Allen & Page is one of the leading brands in the manufacture of high quality animal feeds ranging from horse feed and poultry feed to Allen & Page pig and goat feed. Allen & Page is a family owned fourth generation company that operates a drug free state of the art mill, this enables and helps Allen & Page to produce feed that contains only the finest non-GM ingredients approved by the vegetarian society. Allen & Page have now supplied animal feed for over 70 years and have been awarded the Royal Warrant by HRH The Prince of Wales. A Royal Warrant is awarded for meeting the highest standards of quality and supplying a royal household for a number of years.